The 65th British Academy of Film and Television Awards honoured the best cinematic works of 2011 at the Royal Opera House in London on February 12. In a glittering ceremony that was attended by Hollywood's who's who, this award season's favourite, French film The Artist scooped up seven top awards including best film, best director, best original screenplay, original music, best costume design, best cinematography and best actor for Jean Dujardin. 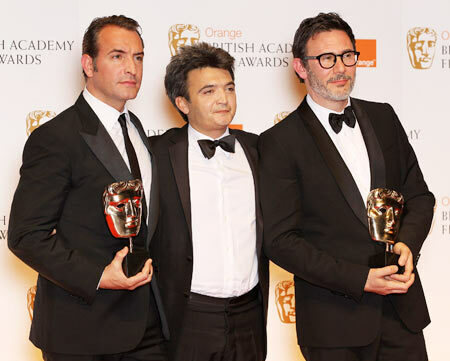 The ecstatic team -- actor Jean Dujardin, producer Thomas Langmann and director Michel Hazanavicius pose with their awards. Long considered an awards veteran, actress Meryl Streep added yet another trophy to her collection as she picked up the Best Actress award for her sensational portrayal of former British Prime Minister Margaret Thatcher in The Iron Lady. Known for her age-appropriate sartorial choices for the red carpet, the actress went the adventurous route in a black Vivienne Westwood gown with a plunging neckline. Mad Men actress Christina Hendricks played enchantress to the hilt in her seductive Vivienne Westwood number that accentuated her curves. Pan Am actress Christina Ricci shimmered in her gold gown. 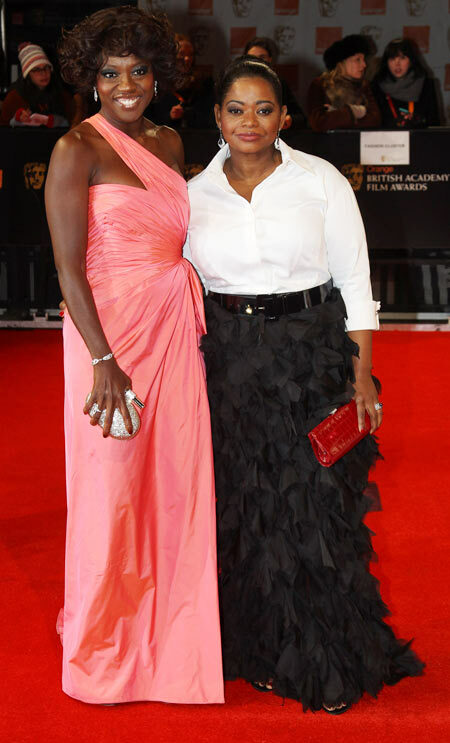 The Help actresses Viola Davis and Octavia Spencer were present at the awards function too. While Octavia picked up her Best Supporting Actress award for the film, Viola Davis, who was nominated in the Best Actress category, lost out to Streep. The new Bond girls, Naomie Harris and Berenice Marlohe glammed up the red carpet in daring gowns at the awards show. The beauties appear along side actor Daniel Craig in Skyfall, the upcoming Bond film. My Week With Marylin actress Michelle Williams grabbed eyeballs in a bespoke cream and black dress by H&M from their Conscious collection. The petite blonde carried a quirky book clutch bag, a nod to Marilyn Monroe and her ex husband, writer Artur Miller who wrote the book The Misfits. Best actor nominee pals Brad Pitt and George Clooney kept each other company since both of them had arrived minus their better halves. Pitt was nominated for Moneyball while Clooney won a nomination for his comedy-drama film The Descendants. 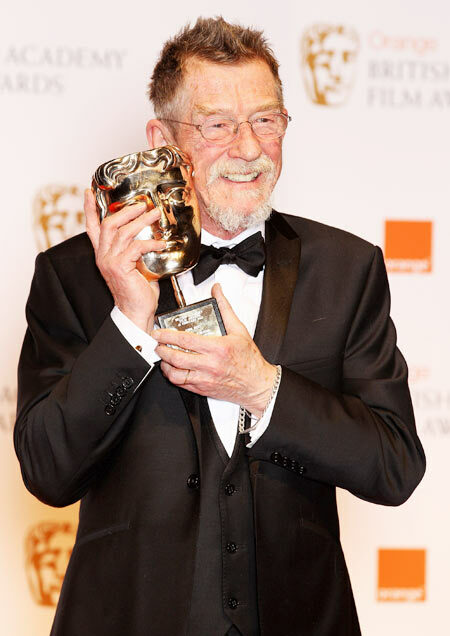 Veteran actor John Hurt, who starred in Midnight Express and The Elephant Man, picked up the outstanding contribution to British cinema award. 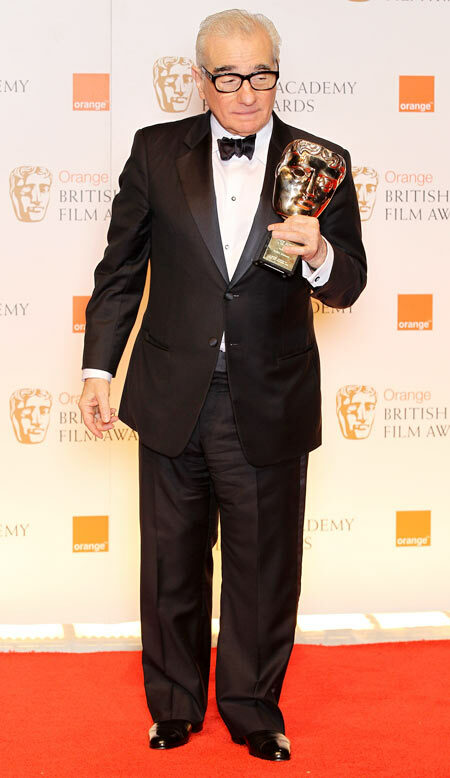 Billy Bob Thornton presented the Bafta to him. Hugo, Martin Scorsese's loving celebration of cinema, won best production design and sound. Christopher Plummer won best supporting actor -- his first Bafta -- for his moving portrayal of a late developing gay man in Beginners. 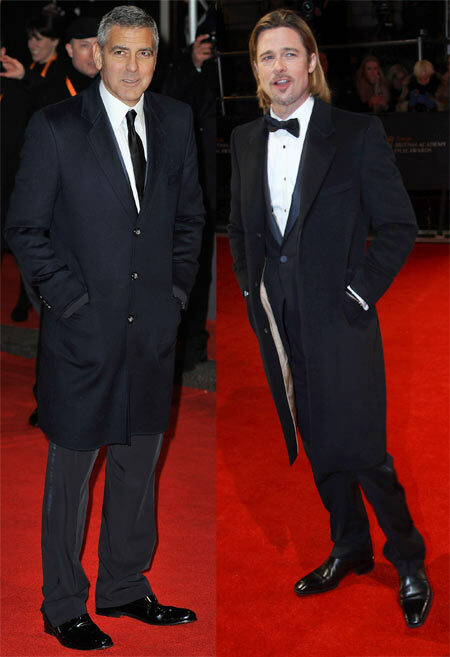 Tinker Tailor Soldier Spy won the Best British film and Best Adapted Screenplay. Actress Penelope Cruz chose a rather simple red gown for her BAFTA appearance. Cruz wore a column dress and paired it with a soft bun. Rango won best animated film and Pedro Almodovarwon the best film not in the English language category for his macabre thriller The Skin I live In. Anil Kapoor was at BAFTA too to present an award to Pedro Almodovar for his non-English film The Skin I Live In. Incidentally, Almodovar didn't turn up for the event and Anil Kapoor accepted the award on his behalf.